Tacos are so simple and delicious. 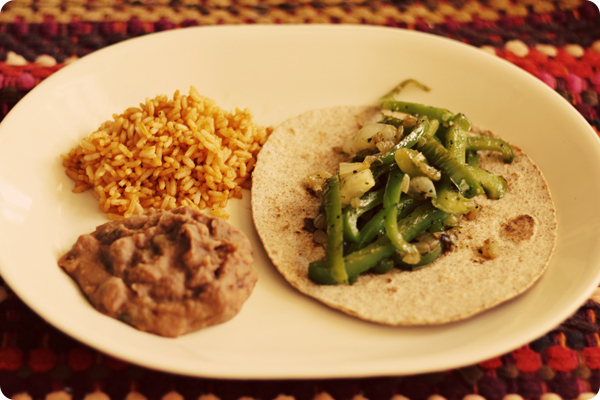 I shared my love for Soyrizo Tacos in a previous post, now here are some simple Green Pepper Tacos the hubby and I cooked up last week. We sautéed a green pepper with half an onion in olive oil and seasoned with garlic powder, salt and pepper. 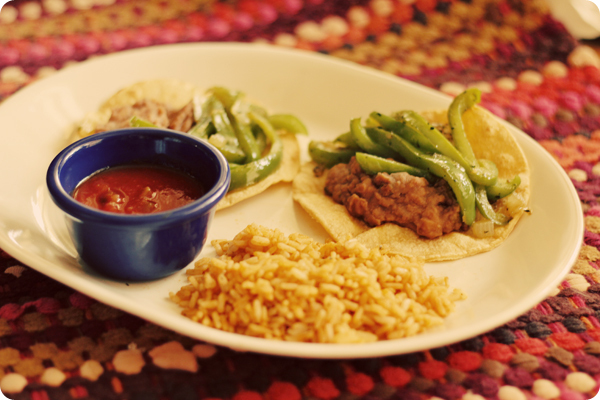 The refried beans are Central Market Organics brand and the spanish rice is homemade. I have so much I want to share from my sister Sarah’s Wedding, dinner with friends, and our plans for our upcoming trip to Hawaii, but for now I have to get back to editing on our film projects. Happy Wednesday!